Islamabad: Pakistan on Monday termed as “irrational” India’s strong reaction to a court’s ruling ordering release of 2008 Mumbai terror attack mastermind Zaki- ur-Rehman Lakhvi, but hoped that the issue will not affect the proposed bilateral talks. 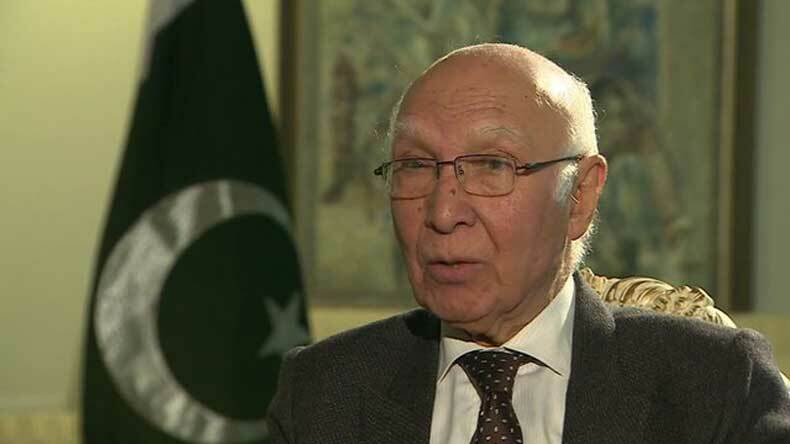 Prime Minister’s Adviser on National Security and Foreign Affairs Sartaj Aziz made the remarks while talking to reporters and rejected Indian allegations that Pakistan was not doing enough to ensure Lakhvi remains behind the bars. India’s reaction to IHC’s (Islamabad High Court) ruling over Lakhvi’s detention was “irrational”, Aziz was quoted as saying by the Express Tribune. He said Pakistan’s judiciary is free and works independently and hoped that the court’s decision would not affect the peace talks. Lakhvi, believed to be a close relative of LeT founder and Jamat-Ud Dawa (JuD) chief Hafiz Saeed, was arrested in December 2008 and was indicted along with the six others on November 25, 2009 in connection with the 26/11 attack case. An “outraged” India last week summoned the Pakistan High Commissioner in Delhi to lodge a strong protest against Islamabad High court order to release LeT commander Lakhvi and said freeing him will pose a threat which “cannot be ignored”. Lakhvi, however, was detained again for one month before his release from jail. Talking to reporters, Aziz said, “Pakistan is waiting for an invitation from the Indian side so our foreign secretary can visit India to formally resume the dialogue process.” On the water dispute between Pakistan and India, he said there is a mechanism under the Indus-Water Treaty to settle the water dispute between the two countries. “Pakistan has asked India for details regarding construction of new dams to determine if the treaty was violated; in case of any dispute, Pakistan could take up the matter to arbitrator or to the international courts,” he said.